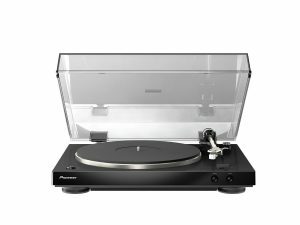 You are here: Home / Turntable Reviews / What’s the Best Turntable Under $300? 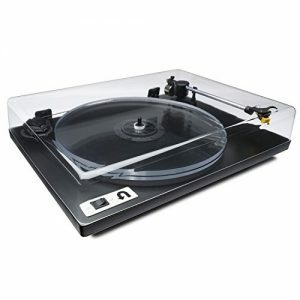 Anyone who has done much shopping knows that turntable prices are all over the map. A machine that accomplishes the remarkably simple task of playing a record can cost less than $100 or upward of $100,000. In the first instance, you’re simply not going to get much for your money; in the second, you’re going to get far, far more than you likely need. So how do we go about finding balance? How do we go about getting a great deal for a good price? Well, that’s exactly what this article will help you figure out. 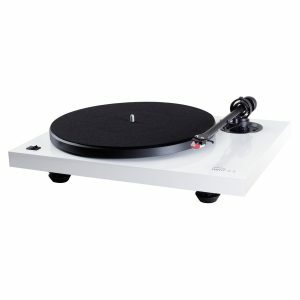 In the table below, take a look at some of the top cheap turntables that we will discuss today. 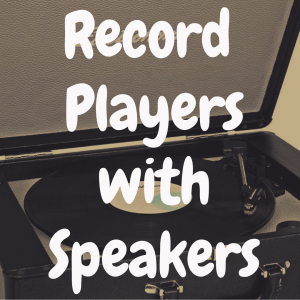 You can compare each record player based on everything from price to key features. 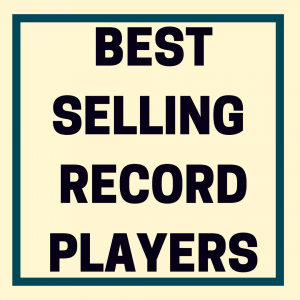 Now, as the surge in popularity of vinyl LP records continues unabated, a sort of unofficial dividing line has emerged when it comes to price. No, it’s not etched in stone, but it seems to be a common conclusion among audio writers and equipment reviewers. That line is $300. 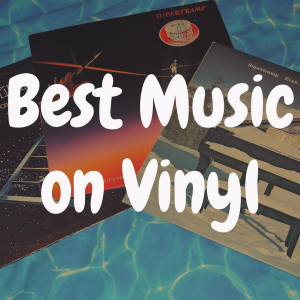 There will always be exceptions, but go much below that figure and it’s quite unlikely that you’ll find a machine that doesn’t do much justice to the unique joy of hearing music on vinyl. As a result, the marketplace is awash in turntables at or very near this pivotal price point, and finding the right rig can be a daunting task. 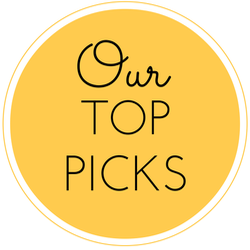 Give us a few minutes of your time, and we’ll provide you with an idea of what kinds of things to be looking for and suggest five turntables that are well worth the money at the “sweet spot” of three hundred dollars. Construction. Does the plinth (base) of the rig feel solid? It should be made of medium-density fiberboard (MDF) or some type of metal–- no plastic at this price. Give it the knock test – how does it feel? The whole idea here is to minimize resonance and vibration while a record is playing. What about the “feet” the table sits on? Are they going to absorb vibration, or will footsteps in the listening room cause skipping? The platter: The heaver the platter (the round thing you actually put the record on), the better the record-playing experience will be. 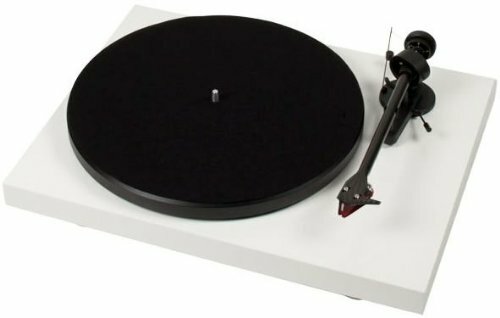 The platter also serves to help reduce vibration and ensure a solid link between tonearm, stylus, and record. Direct or belt: Turntables can be direct or belt-driven. In a belt-driven table, the platter sits on a bearing, and a motor is located to the side; it rotates the platter via a belt. In a direct-drive rig, the platter is perfect on the motor’s shaft, which means that the machine will start and stop faster. Some say direct-drive units have more consistent speed, but that’s not true in all cases, and the jury is still basically out. Hands on? 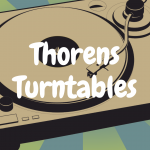 Most turntables these days (especially within our price parameter) are operated manually. This means that the user is responsible for making sure that the stylus is placed on the record correctly. The tonearm also has to be lifted at the end of a record side. Fully automatic means that, by either flicking a switch or pressing a button, the machine does it all – starts the motor, lifts the arm, deposits the needle onto the record, then raises the arm and shuts the table off. 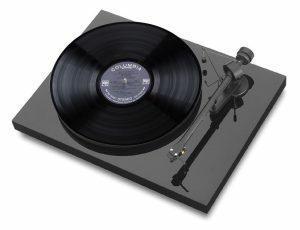 Most “audiophile” grade turntables are manual ones; the general belief is that in order to include the automatic mechanism, there has to be scrimping elsewhere. Cartridge considerations: Virtually all turntables in this price range come with a pre-installed cartridge, the little electronic device that’s fastened to the front of the tonearm. In some cases, the new user might be required to manually balance the arm and set the proper stylus pressure. Naturally, some turntable makers keep the price down by including a bare-bones cartridge. But, budget-level or not, they typically sound adequate or better, and they can most always be upgraded later on. We recommend looking for a well-known, brand-name stock cartridge. Extra features. 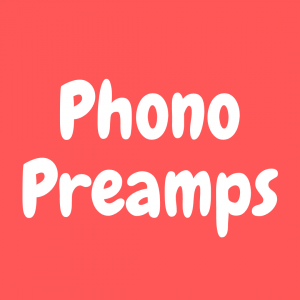 Many tables nowadays include built-in preamplifiers for use with receivers that don’t already have one. Further, a growing number of enthusiasts enjoy converting vinyl record tracks to digital files. To do that, a turntable must have a USB connection. Make sure the table you choose has either or both of these features, depending on need and preference. At $299, Music Hall Audio’s most popular rig is strikingly attractive, particularly in gloss black. A very basic, two-speed, belt-drive table, it’s designed for unusually quiet operation and comes pre-packed with a fine Magic 2 cartridge made by Ortofon. It has a stainless steel and bronze bearing assembly, and its adjustable damping feet do a terrific job of isolating the machine from external vibrations. A bonus is that it nearly comes “plug and play,” so that even a true novice can get it up and running in just a few minutes. No gimmicks or add-ons here: just a true, audiophile-quality table at a price that won’t empty most people’s wallets. This two-speed, belt-drive Pro-Ject, at a cool $299 street price, comes out of the box with a better-than-decent cartridge, the Ortofon OM-5E, and its steel platter bests the platter in the Music Hall and Pioneer. It also takes a jolt as well as any machine in this price class. Otherwise, it’s an appealing, no-nonsense, thoughtfully designed, and well-built table that doesn’t put on any airs. It does just what it’s supposed to, and that’s get pleasing and punchy sound out of records – all while treating them gently. A cinch to set up, it’s available in a total of six colors. This direct-drive table, which can be sniffed out at a low street price of $279, is hugely popular for a number of reasons. For one thing, in silver (it also comes in black), it has a unique, industrial look and includes DJ-style features like pitch control. For another, it plays at 78 RPM as well as at 33⅓ and 45. For yet another, it comes out of the box with a superior Audio-Technica T95E cartridge. 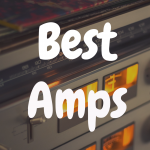 Adding to its value are the presence of a preamp and USB connectivity. Its looks won’t please the eyes of many, but it’s a solid and hefty machine that absolutely means business. Another two-speed, belt-driven rig, the PL-30-KJ, at $296, is the only automatic record player on our list. It also has a built-in preamp, so it’s clearly aimed at buyers with certain preferences and needs. Sonically, it competes fairly well with the Music Hall and Pro-Ject. Construction-wise, with its dual-layered chassis, it’s heavier and overall more solid than most tables in its class, a definite plus for listening rooms that have a lot of foot traffic. Obviously, if you have to have automatic and/or the preamp, this is the turntables to buy. Setup is a breeze, aided by an unusually clear and well-written instruction manual. The price of this neat little two-speed, belt-driven, made-in-Boston table from the upstarts at U-Turn Audio was substantially cut not that long ago, putting it less than 10 bucks above our ceiling at $309. Those “extra” few dollars would be well-spent – the Orbit Plus is an attractive and competent machine that includes a very nice cartridge from another all-American company: the Grado Black 1. It comes in a choice of five colors, but otherwise, it’s nothing fancy: a solid, well-built table that makes pretty music every time. There’s only one slightly sour note: You have to pay extra for a cueing device that raises and lowers the tonearm. Buy any of the above machines, and that’s what friends might be saying (or you might be saying to yourself) the first time you cue up and spin a favorite LP. And all five of the machines on our list are indeed the real thing. Can they be considered “high end”? Not quite. Move up the price ladder, and you’ll always find something more pleasing. Music will sound more authentic; the listening experience will be more akin to actually having the musicians in the room, particularly on delicate, mainly acoustic material. This is why audiophiles are notorious for suffering from a condition informally known as “upgrade-itis.” No matter how much you’ve spent, there is always something newer, something better—a component that will solve a problem, fill in a crack, or repair a perceived defect. 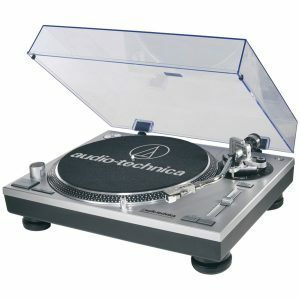 But we have to start somewhere, and owning a good-quality turntable that does a solid, reliable job of playing records is an excellent jumping-off point. 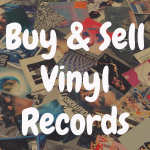 Any of the above units will satisfy your initial vinyl cravings and provide a cost-effective gateway to the endlessly delightful world of phonograph records.